The atmosphere was electric. The 100 Club was heaving with people whooping and whistling intermittently at the slow, heavy riffs of Steve Watts’ double bass and the bluesy high notes of the trumpets. It was only after talking to exhilarated band leader Frank Williams outside the dressing room afterwards that the behind-the-scenes lead up to the performance became clearer. It goes without saying that when you’ve got a 13-piece band with members inhabiting all corners of the globe, getting them together for one night is a hard task. Yet, Williams attests that “It’s the best music!”, and he’s right - it was worth the effort. The 100 Club used to be something of an “unofficial South African Embassy” to Brotherhood Of Breath. 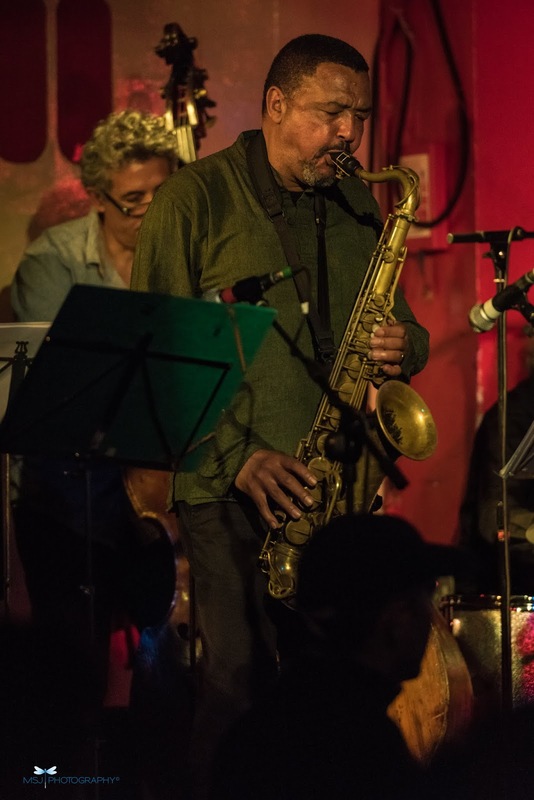 They were playing there in the ‘70s as South African ex-pats when saxophonist Frank Williams joined the likes of pianist Chris McGregor, saxophonist Dudu Pukwana and drummer Louis Moholo-Moholo. As Williams exclaimed to the audience, “It hasn’t got the acoustic of the Festival Hall, but it’s much better.” It’s perhaps for this historical reason that the general vibe of the night was heartfelt and uplifting, with a hint of nostalgia permeating the air. And despite the fact that many of the original members of the band weren’t present, it felt like they were being depped for by like-minded, equally spirited musicians. The friendly dynamic between the band members gave an incredibly positive note to the evening. 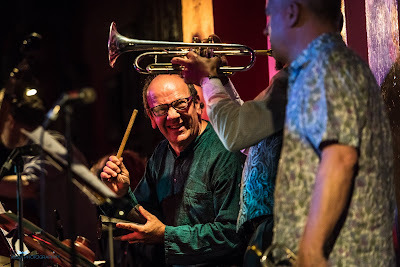 During the opening tune Mandisa, a McGregor original, trumpeters Claude Deppa and David DeVries threw out soaring, high-pitched melodic lines between horn section stabs with laughter and an air of ease that reflected the music perfectly. 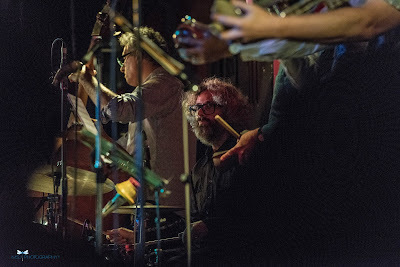 It felt refreshing to see Deppa shouting out orders to the band from behind and to see Williams turning around to drummer Steve Arguelles in order to set the tempo of the next piece, a welcome contrast to the standard inscrutability of a typical jazz performance. With the night being a reunion of sorts and an indirect tribute to the late founder Chris McGregor, the set-list comprised almost entirely of his compositions and arrangements. Elements of South African township music and afrobeat were there throughout, with the heritage of the band explicitly shining through in a Defries-led ballad dedicated to Nelson Mandela. The music felt strongly reminiscent of Loose Tubes-esque eccentricism in its raw intensity. 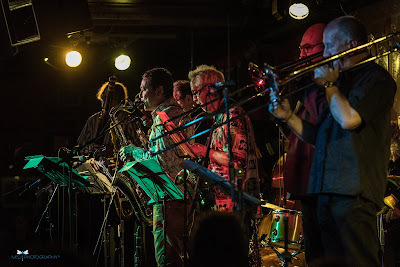 The high level of musicianship amongst the players as well as the strong rhythmic themes throughout the sets meant that the groove was always plainly there, to the delight of the dancing members of the audience. The highlight of the evening was Dakar towards the end of the set, which featured a playful exchange between Bobby Juritz on bassoon and Williams on tenor saxophone as well as a heavy drum solo by the inimitable Arguelles. With the knowledge that in the beginning, this band withstood the regime of apartheid in ‘60s South Africa before defeating the odds in immigrating to the UK and eventually playing alongside the likes of Evan Parker and Archie Shepp, it stands to reason that there is a raw, spiritual energy found in a live performance of Brotherhood of Breath that cannot be found elsewhere.